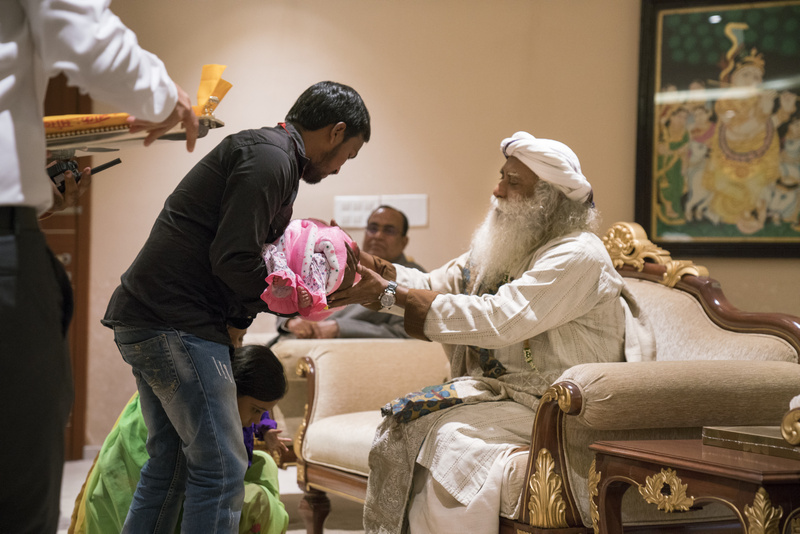 Sri Sathya Sai Sowbhagyam team prayerfully received Sadhguru Jaggi Vasudev on 28th November, 2017. 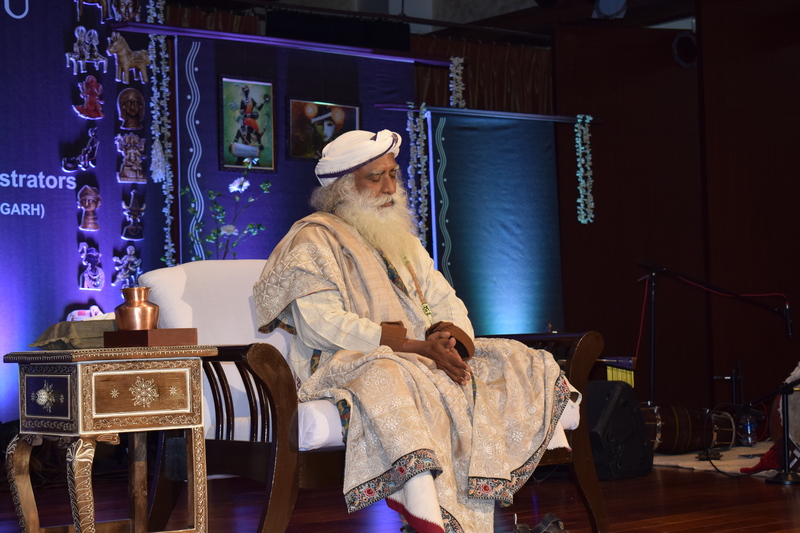 Sadhguru addressed members of Administrative Association of the state of Chhattisgarh, which comprised IAS, IPS officers and officers of other Civil Services cadre. 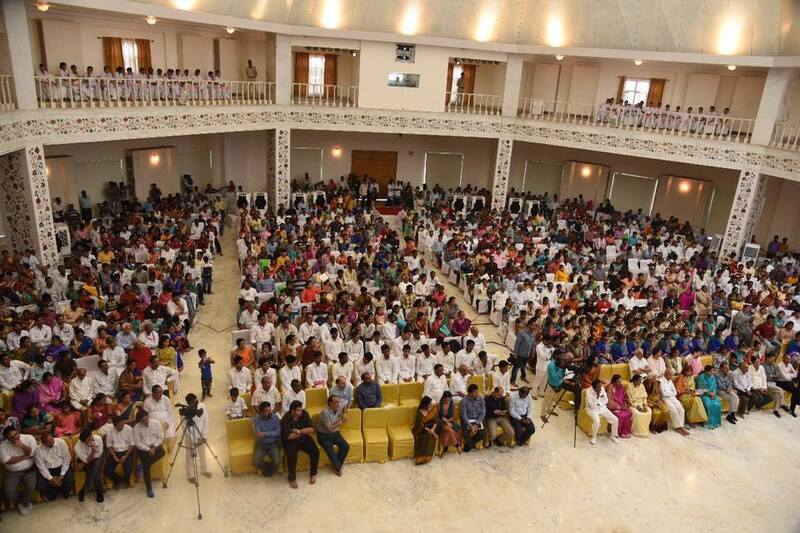 Before the commencement of the event, Sadhguru blessed the children and their parents who were healed at Sri Sathya Sai Sanjeevani Hospital for Congenital Heart Conditions, Totally Free of Cost. 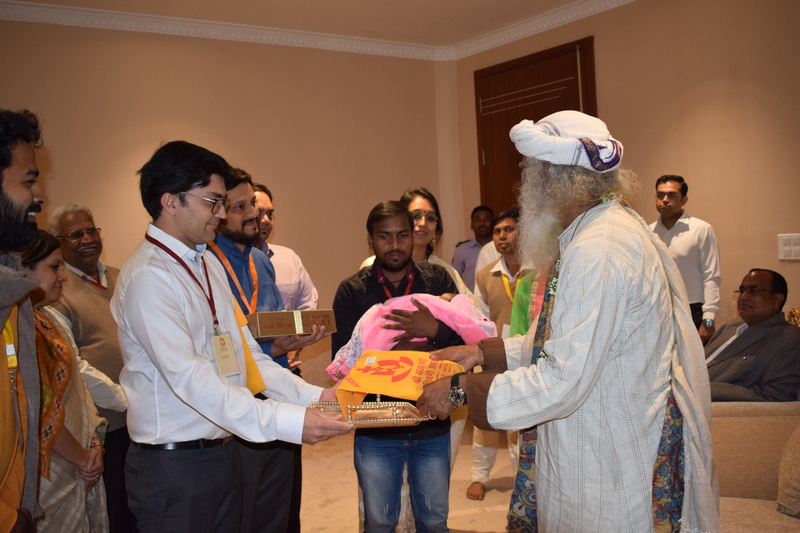 Interacting with Medical team of Sri Sathya Sai Sanjeevani, Sadhguru congratulated the ‘young’ team for doing such “wonderful work”. 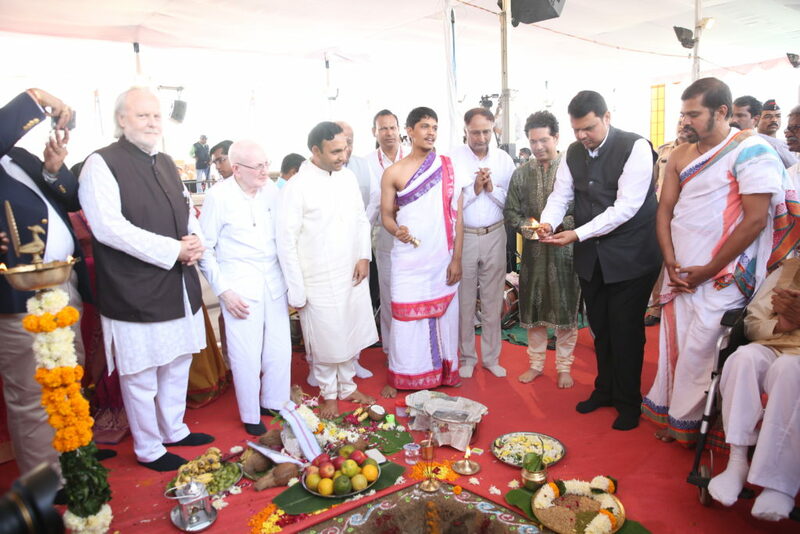 Here we share glimpses of this visit. 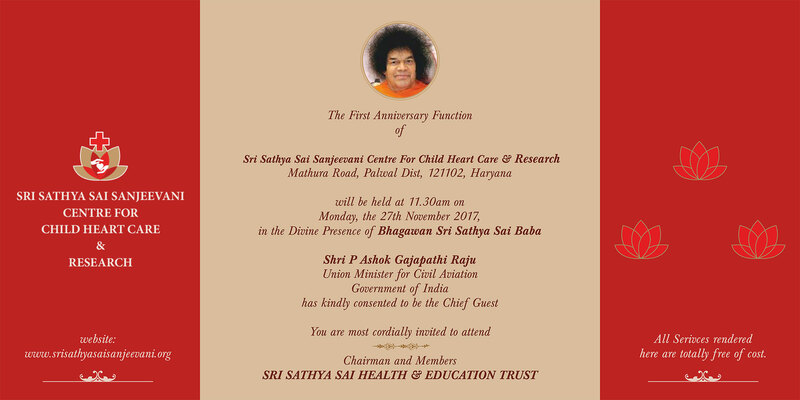 Sri Sathya Sai Sanjeevani International Centre for Child Heart Care and Research, Palwal Haryana will celebrate its First Anniversary on 27th Nov 2017. 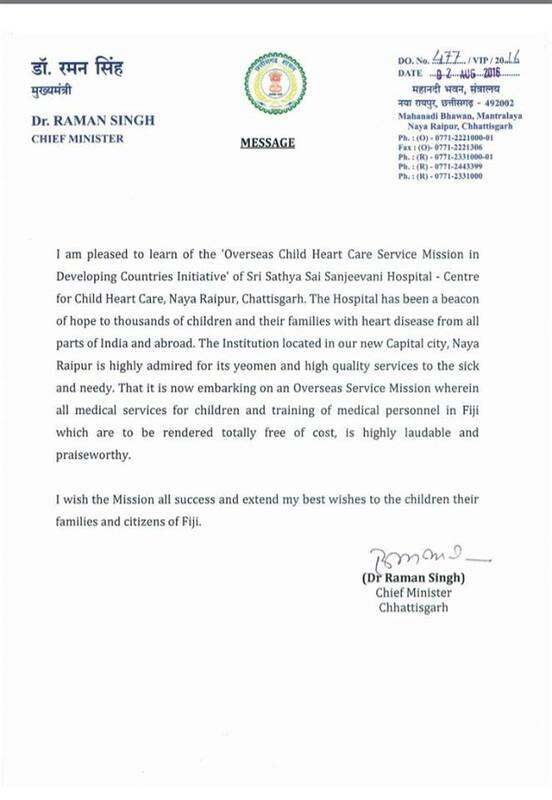 As we complete One year of service to this great nation, you will be heartened to know that we have treated 2200 children and performed close to 400 Heart Surgeries and Cath procedures. 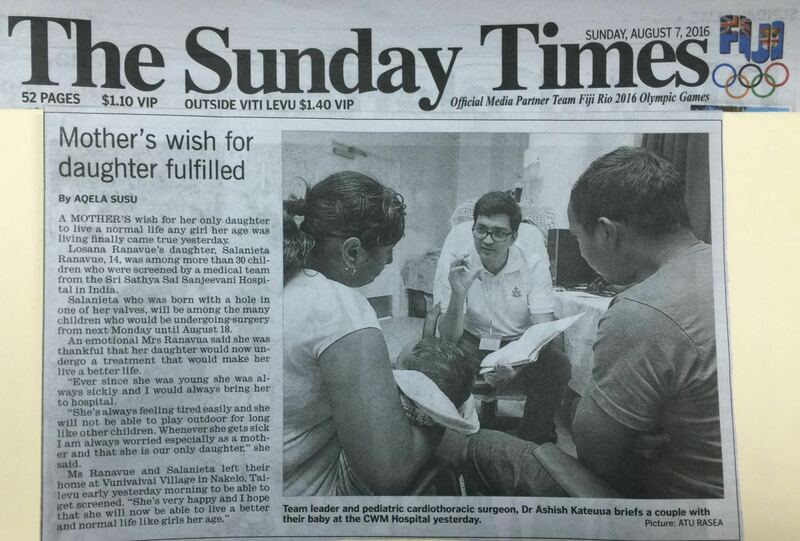 Please join us on this momentous occasion as we dedicate ourselves to heal more Hearts, touch more Lives. 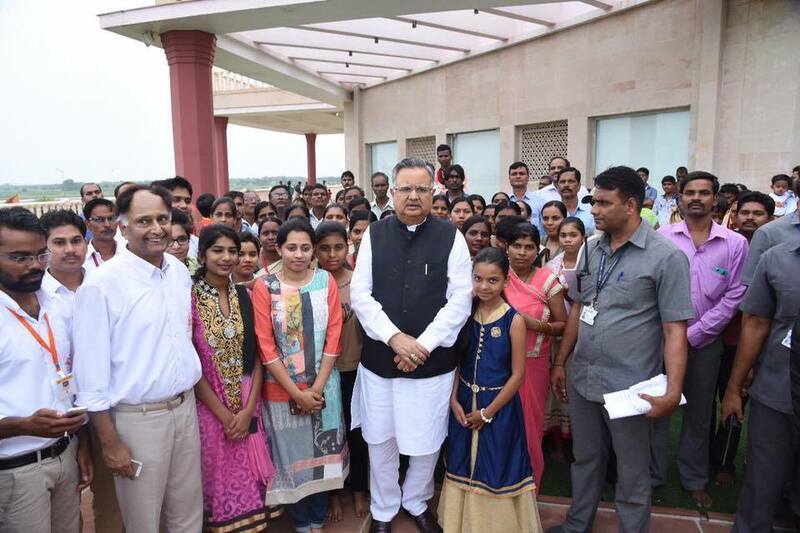 Dr Raman Singh, Chief Minister, Chhattisgarh launches the Chirayu Chhattisgarh Program on 5 August, an endeavour to detect and treat more children of the State with Congenital Heart Diseases. 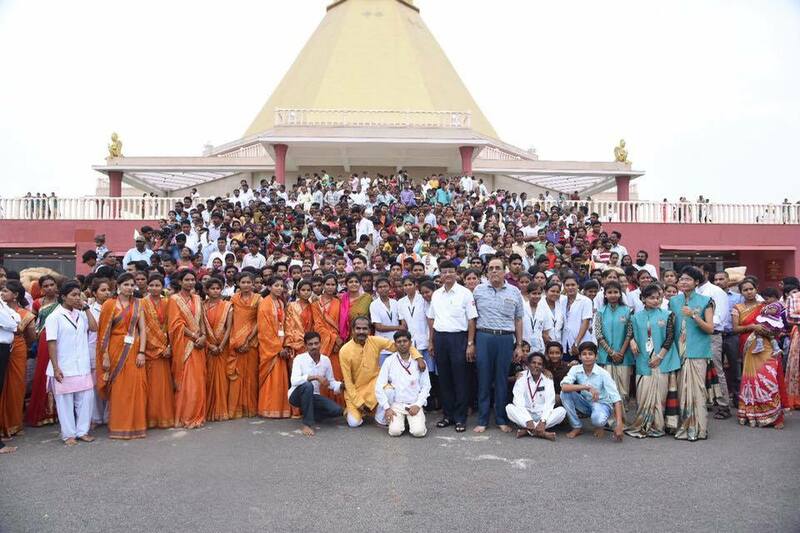 The program witnessed close to 350 children and their families who were operated at Sai Sanjeevani, to encourage and fill the Sai Sanjeevani team with purpose in unison to SERVE MORE CHIDLREN AND HEAL MORE HEARTS. 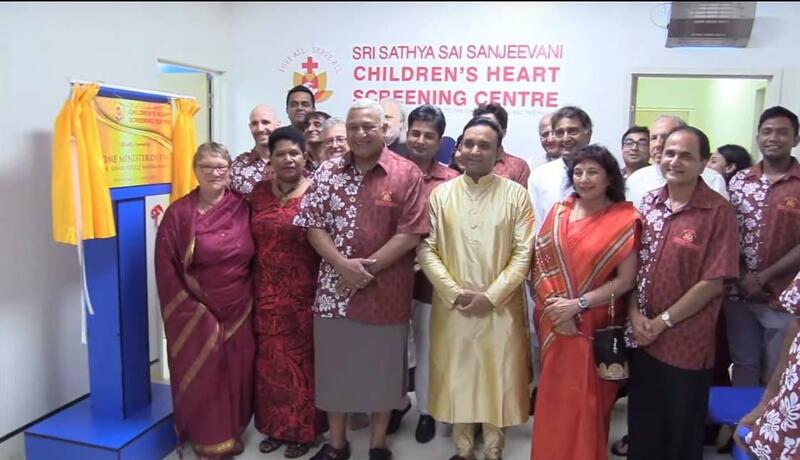 25 little hearts in Fiji Islands were healed by the 10 member Sri Sathya Sai Sanjeevani team that visited Fiji in August 2016 to conducted Pediatric Cardiac Surgeries Totally Free of Cost in coordination with the Sai Prema Foundation, Fiji. 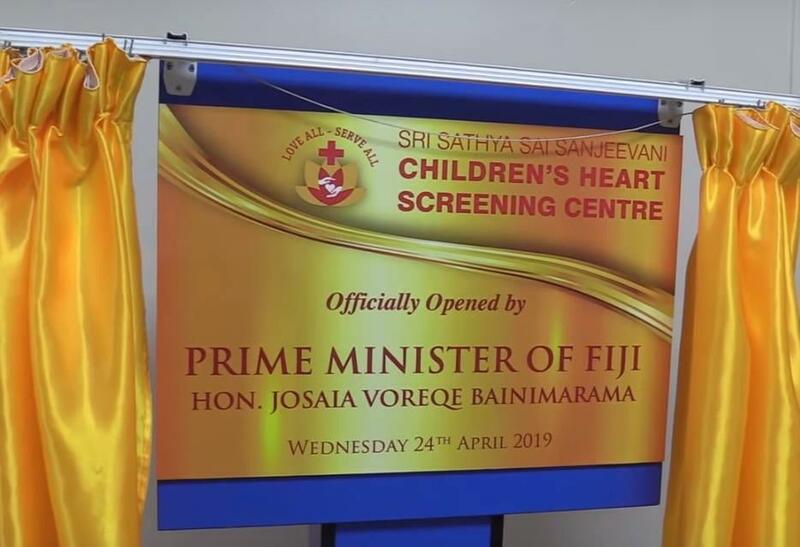 This was under the “Overseas Child Heart Care Mission in Developing Countries Initiative” by Sri Sathya Sai Sanjeevani Hospital at the CWM Hospital, Suva, Fiji. 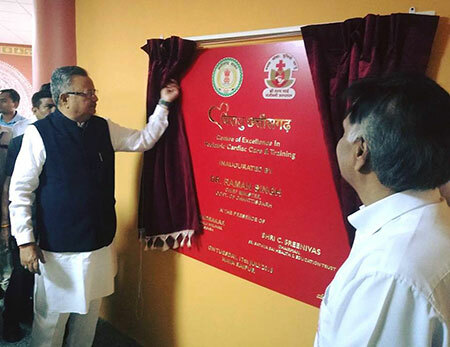 17th of July 2018, saw the grand inauguration of ‘Chirayu Chhattisgarh Centre of Excellence in Pediatric Cardiac Care & Training’ by Honorable Chief Minister of Chhattisgarh, Dr Raman Singh. 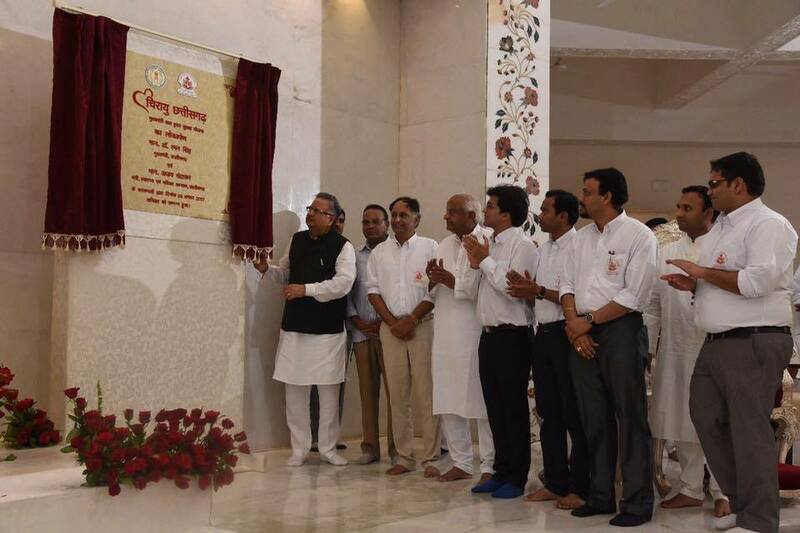 ‘Chirayu Chhattisgarh’ is a joint initiative by the Government of Chhattisgarh and Sri Sathya Sai Sanjeevani Hospital, Naya Raipur and is India’s first collaborative centre for Pediatric Cardiac Excellence. 23 Futures – 13 Doctors, 4 Teachers, 3 Engineers, 2 Bankers and a Professional Footballer – possibilities born. Compassion can only beget more Compassion. 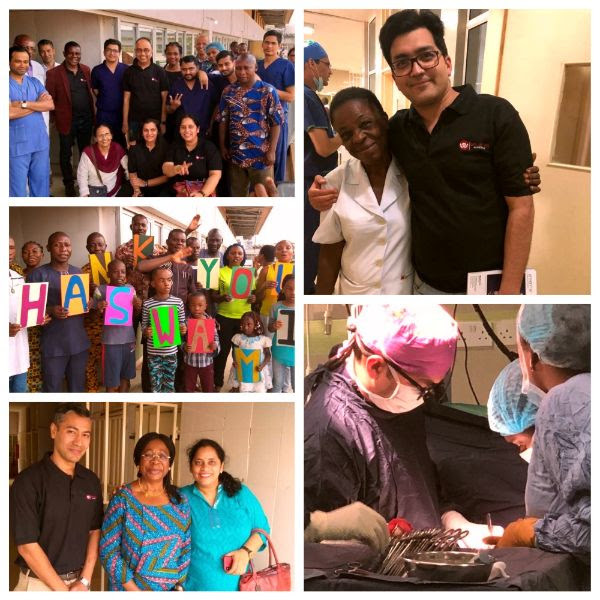 Our heartfelt gratitude to our extended Nigerian family for taking wonderful care of the entire team. We hope and pray for a long association. 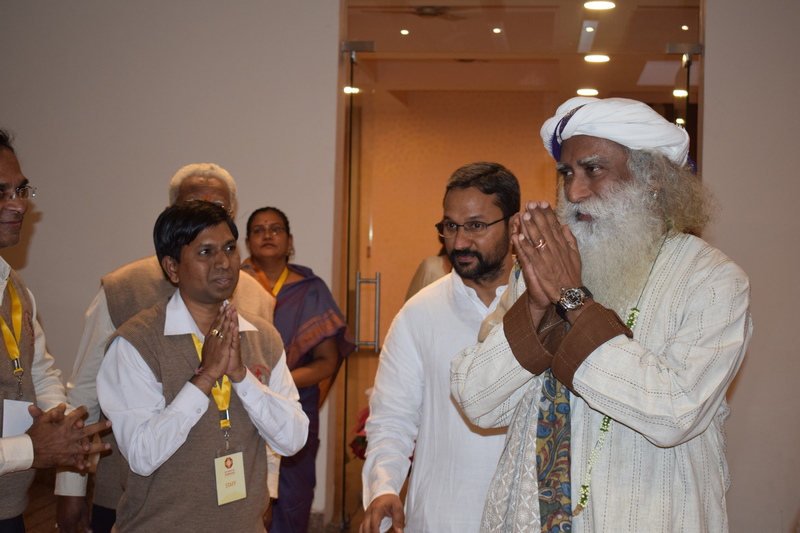 In the presence of Hon. 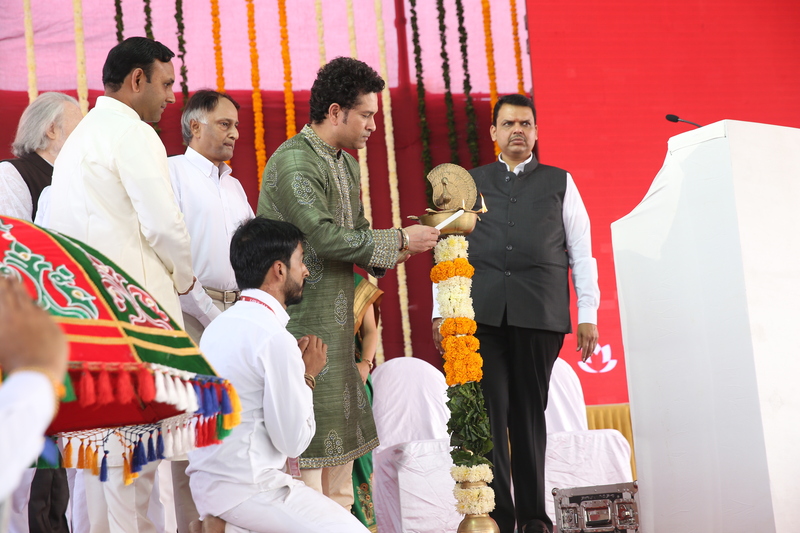 Maharashtra Chief Minister Shri Devendra Fadnavis, Government of Maharashtra signed a Memorandum of Understanding (MOU) recognizing Sri Sathya Sai Sanjeevani Center for Child Heart Care & Training in Pediatric Cardiac Skills, Navi Mumbai as a “Center of Excellence” in Child Heart Care for State of Maharashtra. 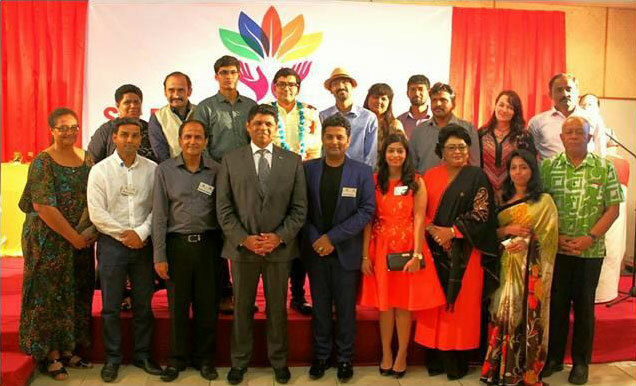 Shri C Sreenivas,Chairman of the Trust and Cricket Legend Sunil Gavaskar represented Sanjeevani. 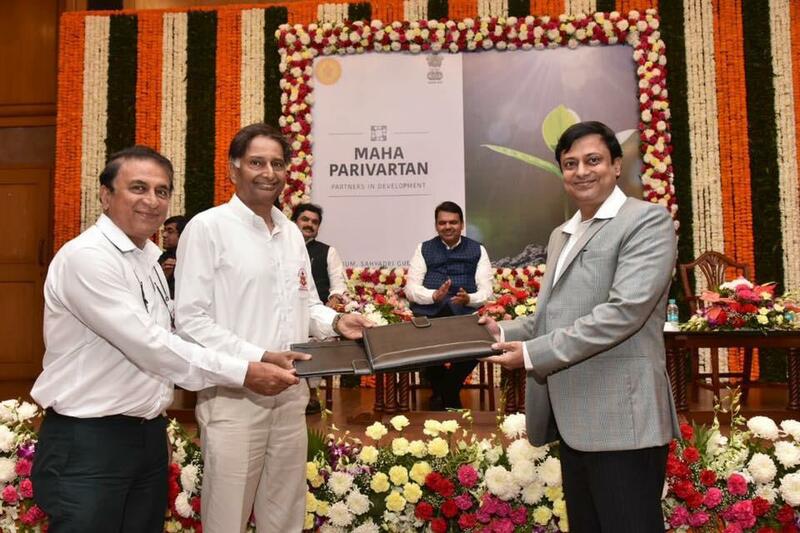 This is a unique & rare distinction a Hospital/ Institute has received from a Government within three months of commencement of services inspite of prestigious hospitals of international repute Mumbai & Maharashtra hosts.